I'm a Family Culture Coach and I'm here to help you live a life of purpose with the ones you love and become the family you were meant to be. There was a time when my family was a mess!!! I felt like I had too much on my plate and wasn’t sure how to make what mattered to me show up in our life. THIS SIMPLE EXERCISE HELPED! A one hour Q&A coaching session with me! 8 questions that will help you clarify what you want your family to be known for. Hear from experts, leaders, and everyday people who share with you what it takes to create a thriving family. How are you doing as a family? We’ve taken the guesswork out planning your Family Retreat Packet. Article to help you become the family you were meant to be. Discussion ideas and sample agendas that will save you time at your family meeting. The front of the cards say “read it”. That’s where the memory verse is printed. On the back of the cards it says “pray it”. There you’ll find the verse turned into a prayer. 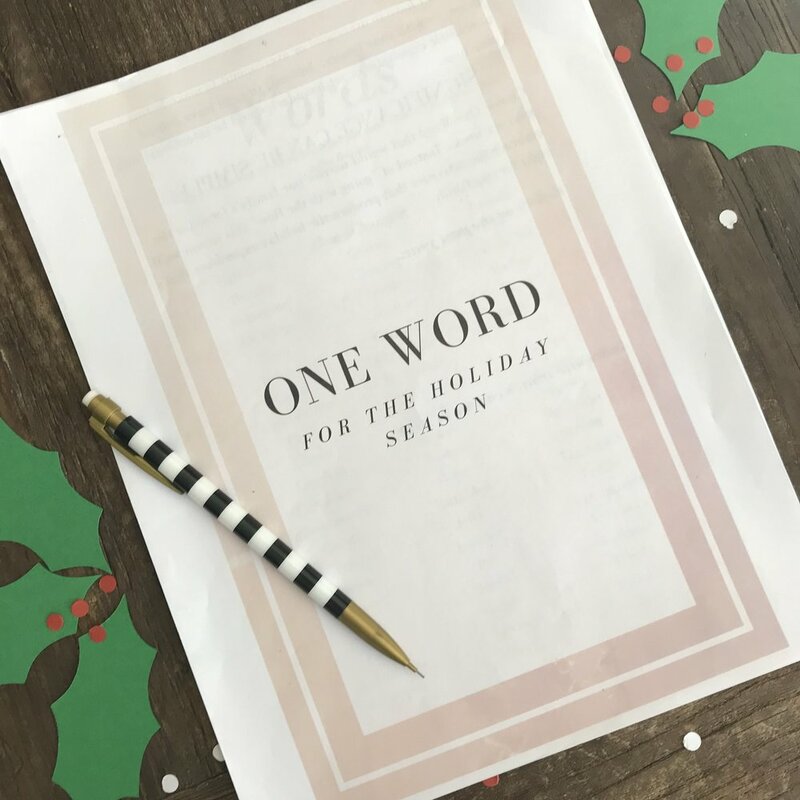 Everything you need to choose ONE WORD to focus your holiday. It includes a word bank, questions that will help you choose your One Word, and a calendar for planning your time well.